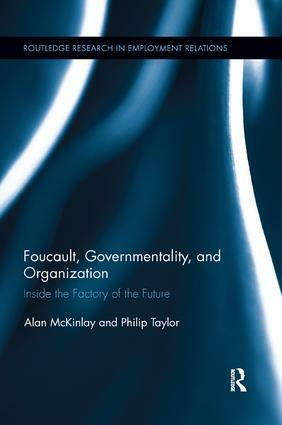 This book traces how abstract managerial ideas about maximizing production flexibility and employee freedom were translated into concrete, day-to-day practices at the Motorola plant in East Kilbride, UK. Using eyewitness accounts, the book describes how employees dealt with the increased freedom Motorola promoted amongst its employees, how employees adapted to managerial changes, specifically the elimination of large-scale management, and where the ‘managerless’ system came under strain. This book will be of essential reading for researchers, graduate students, and undergraduates interested in the areas of management studies, human resource management, and organizational studies, among others. "… this book provides a very useful evaluation of the rationale and ethos of management systems of self-surveillance. The authors raise important issues around the incompleteness of governmental relations. Not least, they ask why systems predicated on worker self-management fail, even in circumstances where local management retains a belief in manager-less systems." Alan McKinlay is Professor of Human Resource Management, Newcastle University Business School, UK. He has written extensively about long-run developments in industrial relations and work organization. He has contributed to journals such as Business History and Organization, among others. His most recent edited book is Creative Labour Working in the Creative Industries, with Chris Smith, which has gone into a second edition. Philip Taylor is Professor of Human Resource Management at Strathclyde University, UK. He is a world-leading expert on management strategy and work organization in call centres. He has written articles for the International Journal of Human Resource Management, Industrial Relations Journal, Human Relations, New Technology, and Work and Employment journals.He was the co-author of The Meaning of Work in the New Economy and co-edited Future of Worker Representation. Aspects of the employment relationship are central to numerous courses at both undergraduate and postgraduate level. Drawing from insights from industrial relations, human resource management and industrial sociology, this series provides an alternative source of research-based materials and texts, reviewing key developments in employment research. Books published in this series are works of high academic merit, drawn from a wide range of academic studies in the social sciences.